The Top Four Most Popular Sears Homes--Have You Seen These? 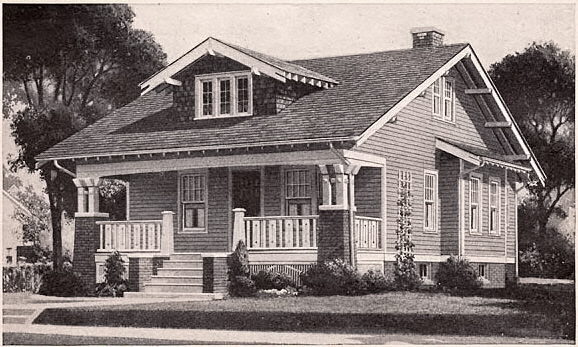 Sears issued its Book of Modern Homes catalog from 1908-1940. During those years, 370 different models were offered for sale. However, there were four very popular models that each were offered for more than a decade. These homes might be "hidden in plain sight" in your neighborhood. 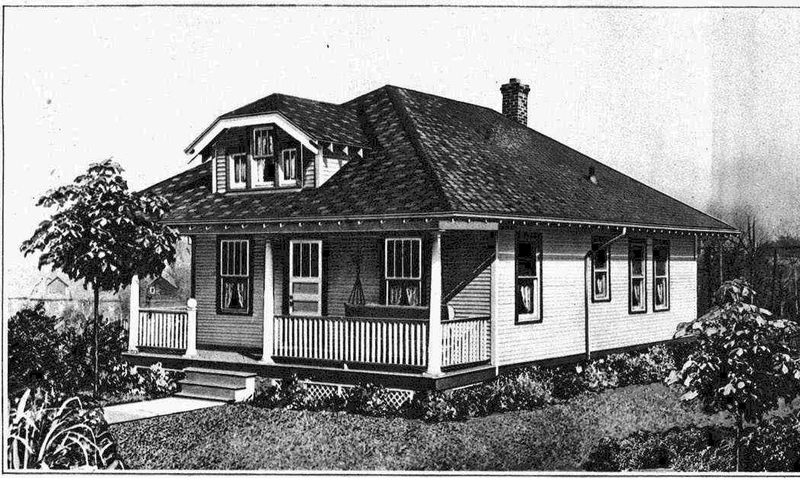 Without further ado, we count down the Four Most Popular Sears Homes of All Time! The Vallonia was offered for 12 years. This was a popular model in the Chicago suburbs. 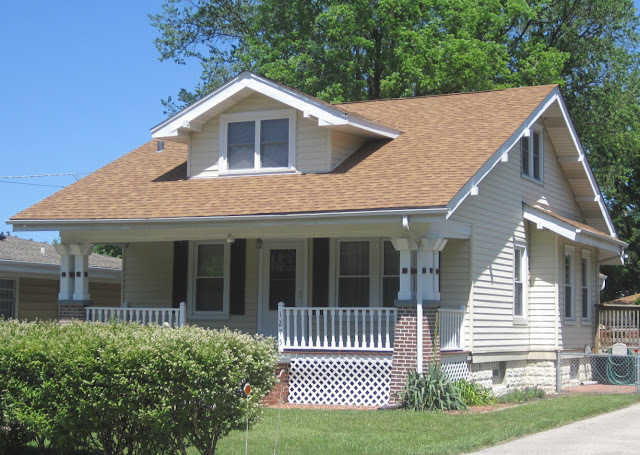 Today, the front porches are often enclosed. Sears Vallonia from the 1936 catalog. 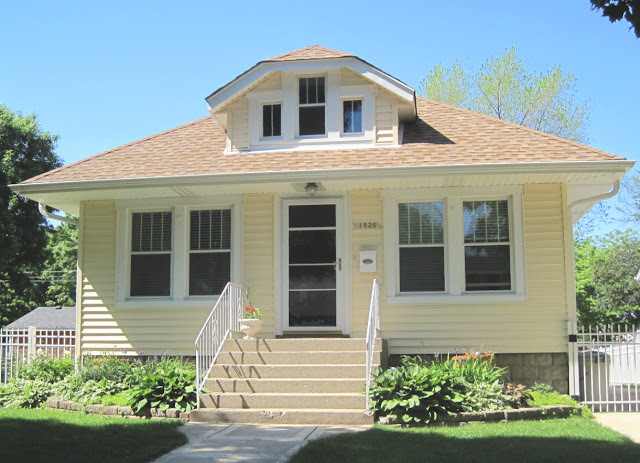 An authenticated Vallonia at 1275 River Road in Des Plaines. The Starlight was offered for 13 years. Sears Starlight with enclosed porch at 1520 Campbell in Des Plaines. The Westly was offered for 14 years. Perfect Sears Westly in Waukesha, Wisconsin. Photo courtesy of Heather Lukaszewski. The Winona was offered for 29 years! This house must have been a big seller for Sears. 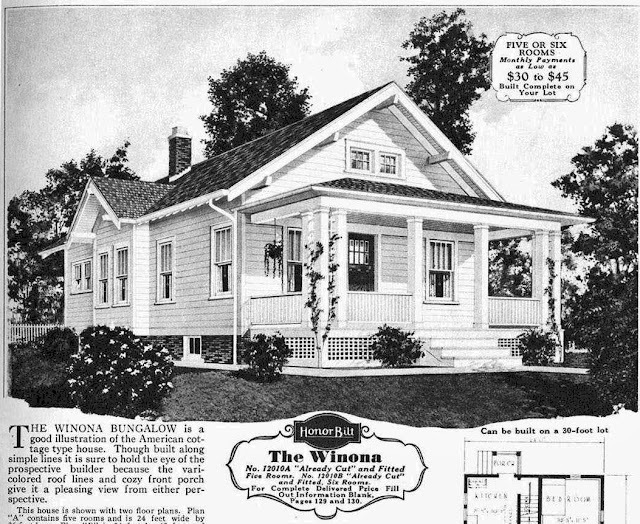 Sears Winona from the 1930 catalog. A Swiss chalet-looking Sears Winona at 1625 Forest in Des Plaines. 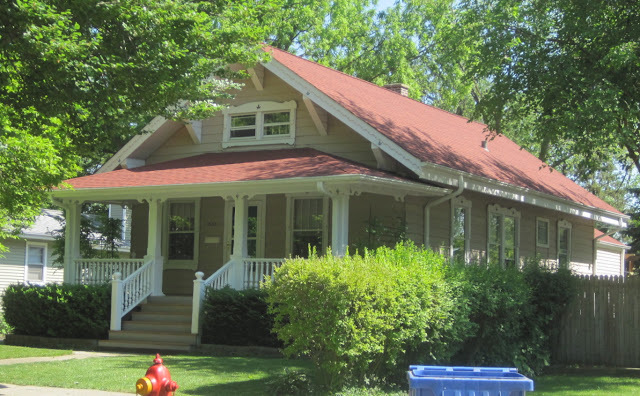 You've just read about the four most popular Sears homes determined by me for the week ending July 21, 2012. Keep your feet on the ground and keep reaching for the stars! What's the variation? Send me photos and I'll put them on my blog. Thanks for reading. In Cincinnati, the Rodessa and the Crescent will give your four a run for your money - we have over 40 Rodessas! The Vallonia is the number one though! I have to join the club too - The Vallonia, The Westly, and The Winona have always been my own personal favorites as well!! In my neighborhood, we have 2 Sears Starlights & a Winona, & one Vallonia. I have a label 7952-2-0-6-8 Can you help? My Grandfather was a Builder in SEYMOUR,Indiana and he builder his home and many others in the town. And I own the Home place. It looks like the Vallonia but a little large.